The ALP’s $1.75 billion commitment to early childhood education puts pressure on the coalition government to reverse cuts and provide certainty to the sector. It was a federal Labor government that introduced 15 hours’ universal access to preschool education for Australian four-year-olds almost a decade ago. Since then, successive coalition governments have cut $440 million from the sector and failed to provide long-term funding. At this stage funding is not guaranteed beyond 2019. But Labor’s recent policy announcement of its National Preschool and Kindy Program, guaranteeing ongoing funding for two years of preschool for three- and four-year-olds, is a game changer. It’s been enthusiastically welcomed by teachers who have been campaigning for years to secure permanent funding. Guaranteed funding will give certainty to educators and provide proven benefits to hundreds of thousands of children and their parents, says AEU federal president Correna Haythorpe. “It’s a critically important investment in the future of our children because the number of years spent in early childhood education is a strong indicator of a child’s level of achievement in later stages of life, both in and out of school,” says Haythorpe. Quality early childhood education improves school readiness, lifts NAPLAN results and PISA scores, and increases Year 12 completions among a host of other benefits, says Elizabeth Death, Early Learning and Care Council of Australia CEO. Australia lags behind many countries that already provide two years of early childhood education, and “children who start behind, stay behind,” says Death, who was part of an AEU delegation of educators and parents who visited federal parliament recently to lobby for secure funding. “Analysis of international test results shows that children who attended at least two years of quality preschool achieved much higher scores at age 15 than those who attended no preschool or only one year,” Death says. A head start is particularly important for children from disadvantaged backgrounds, or where English is a second language at home. 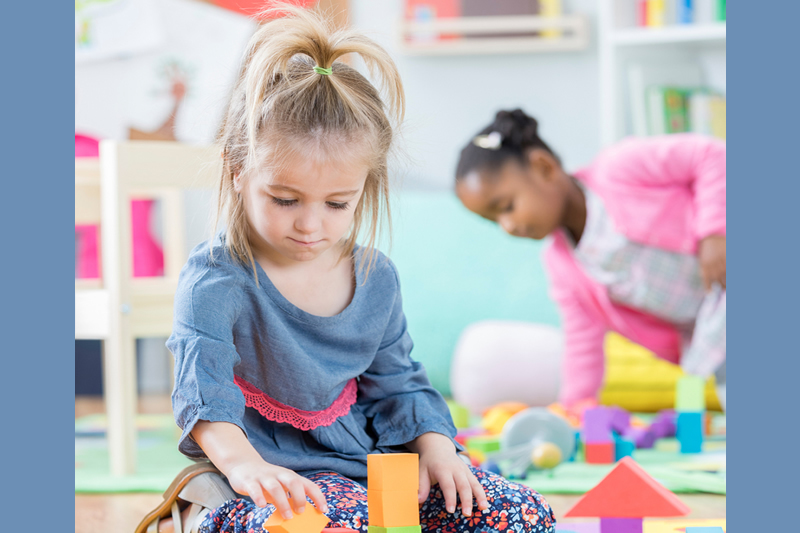 Cara Nightingale, a preschool teacher from a diverse community in the Melbourne suburb of Hampton Park, notices the practical benefits of investing in early childhood education. She says that children who’ve attended have a much smoother transition and settle faster into the routine of primary school. “It also helps breaks the cycle of disadvantage for our most vulnerable children, as well as contributing to Australia becoming a more equitable society that will prosper both socially and economically,” says Nightingale. The uncertainty of Australia’s political landscape makes it difficult to predict where the early childhood education sector will be in 2019. As things stand, coalition government funding for early childhood runs out at the end of this year. Labor’s pledge to boost preschool funding and extend access to three-year-old children if it wins power gives voters a clear choice to consider when they next head to the polls. issue for the federal election,” says Haythorpe. The ALP will guarantee ongoing funding for two years of preschool. Many other countries provide two years of early childhood education. Access to early childhood education helps to break the cycle of disadvantage.